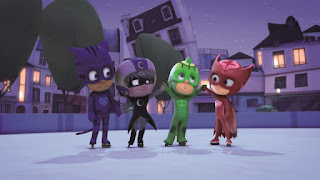 The only thing we knew about the animated show PJ Masks before turning on this episode was that it has a lot of toys targeted at the preschool set. The premise is that three kids turn into animal-themed superheroes at night (once they don the pajamas of the title) and defeat super-villain kids while learning simplistic morals. It's based on a series of French picture books, and the show is a collaboration between Canadian and French animation companies and is distributed in the U.S. by Disney. It's visually and structurally somewhat reminiscent of Super Why. Each 15-minute story has a clear moral from the beginning and a repetitive structure that will have some kids yelling at the characters in frustration. These aren't the first episodes of Cheers we've looked here - five years ago, I reviewed the season one episode, The Spy Who Came in for a Cold One, which hadn't aged well. 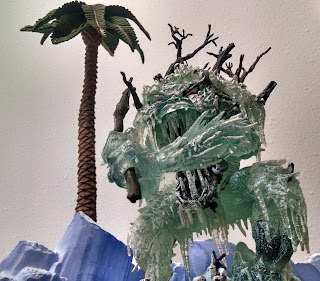 It took us a while, but we finally got around to what I believe are the series' other Christmas installments, all of which held up better in our opinion. 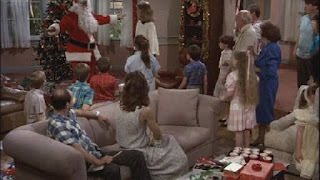 Although this episode was set in the summer, it features a Christmas celebration, so check off another example of Christmas in July (well, technically May, but I'm still counting it as a use of the trope). This was actually a fairly significant episode, plotwise, coming right before the season finale culminating in Diane's departure. In this one, she buys a house without asking Sam, then spends the first act convincing him it was a good idea. I don't remember this series, but I recall the era it comes from well enough. Prior to Batman: the Animated Series, cartoon shows - particularly those adapted from live action movies - were mainly cheap cash grabs produced by networks trusting a lack of alternatives would force their audience to tune in regardless of quality. Yup, even with no recollection of this particular show, this brings back memories of Saturday mornings spent staring blankly at the TV in the idle hope something worth seeing would air. 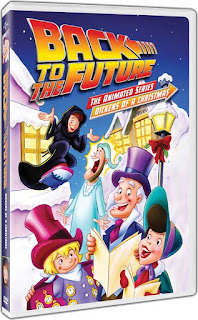 This series ostensibly picks up after the movies left off, following Doc Brown and his family, along with Marty, as they adventure through time. I assume Marty was lobotomized earlier in the season because his intelligence level is significantly lower here than in the movies. The animation is extremely toonish - this is closer to Looney Tunes than anything resembling realism. The tone is spastic, trusting on a barrage of slapstick gags to keep kids engaged. E: Okay, so that’s Christmas. In July. What in hell did we learn? L: That way more people are obsessed with Christmas card photos than we ever imagined. E: I know, right? Your Family or Mine, Rugrats, and… okay, just two, I guess. I could have sworn there were more, too. The Lizzie McGuire episode is basically the same idea, but with a music video instead of a portrait. Okay, let’s talk best and worst. What did you like from this? Setting aside Rudolph and Frosty’s Christmas in July for a minute - we’re both on the record digging that. Of the new stuff we saw, what surprised you most? L: I liked Miss Fisher’s Murder Mysteries, but that isn’t a surprise. 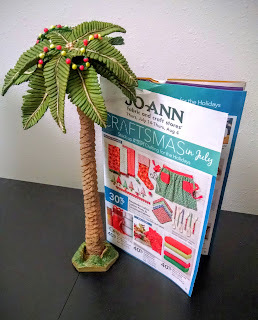 It was a bit of a surprise that it was Christmas in July, technically. It was such a traditional Christmas mystery, just in Australia, so if they wanted a proper ‘people dying in the snow’ it had to be set in July. I’d like to say that we saved the worst for near the end on purpose, but it was just challenging to get a hold of this episode. It turns out that these DVDs are out of print for a reason. Here’s what I know about Saved by the Bell: There was a character named Screech, and it must have come on after something I watched regularly, because the theme song is familiar. Here’s what I know about Saved by the Bell: The New Class: When I was looking for Christmas in July television episodes, I found out that there was a spin-off of Saved by the Bell. So, with that lack of knowledge in place, let’s begin. This is a heavily Christmasy episode, which we appreciate, and it packs an impressive amount of plot into 22 minutes. It does this by making every line, beat, and sound effect exquisitely painful to experience, thus extending the subjective time spent watching. That's the British Avengers - a pair of super-spies - not their American counterparts. These Avengers predate Lee and Kirby's team by a couple of years. I'm not 100% certain of this, but I think this is the first full episode of the classic series I've ever seen. It won't be the last - there's an actual Christmas episode from 1965 that's on our list. I have, however, seen the 90's movie, which I kind of love despite the fact it's an awful movie. Apparently, the one we just watched isn't the best to start with. Both tonally and structurally, it's a long way from the norm. The episode opens with Steed and Tara going separate ways. Tara, filling in for the more iconic Emma Peel, is barely present at all: other than this scene and a few at the end, this is a solo adventure for John Steed, who's going to visit some old friends to celebrate Christmas in February. Christmas in July is not the source of nearly so much music as its wintry predecessor, but there are a few songs out there. I’ll start with the one that we already had in our library. This singer is not my style, especially when it comes to holiday music. It’s not terrible, but it is not something I would actively choose to listen to again. The singing is just this side of whining, the edge of dissonance annoying, the lyrics thin and probably meaningless. In this case, it seems Christmas in July is a metaphor for something being out of place, I guess? The only edge of meaning I can get out of this is annoying - anyone who alludes to the fish on a bicycle saying in the context of “missing a chance” doesn’t deserve to get the girl who eluded him. When we borrowed this DVD from the library, I wasn’t sure whether I had seen this show. 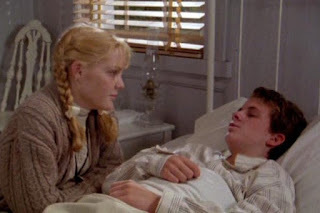 It turns out that my confusion is because the Disney Channel just called this show “Avonlea,” because the opening sequence was definitely stored in my deep memories. Avonlea, or Road to Avonlea, is sort of a spin-off of Anne of Green Gables, based loosely on other L.M. Montgomery stories and produced as a joint production between a Canadian television station and the Disney Channel. That should be enough to give you an idea. It’s a melodrama, a soap opera safe for children, following the citizens of Avonlea through the vagaries of their lives. When we started this project, I expected media built around Christmas in July parties, along with a few "Santa in the off-season" stories, and maybe a few things that related to marketing events. What I wasn't expecting were stories built around pagan themes and elements of horror. But there were quite a few. It turns out that Christmas in July, for all its jovial connotations, is potentially an extinction level event. In hindsight, I probably should have seen this coming. At its core, Christmas - or more accurately the Solstice, but they're really one and the same - represents a sort of perceived compact with the seasons. The celebration marks the turning point when the days start growing longer. It's a ritual for bringing back the sun's light and warmth. I know that most television is supported by either advertising or subscription fees. That’s why, whether it’s CBS or HBO, when a channel allows its content to stream online, they want you to either watch ads or pay money for the privilege. But what about television that is nothing but ads? I did not know that QVC is constantly streaming two live channels on its website, but on reflection, I should have guessed. QVC is big on Christmas in July, apparently because of the historic shipping lag in ordering products off the TV. They hold a big sale and release a lot of Christmas merchandise, with a special return policy that extends through January of the next year, I guess in case you buy a present which falls flat. Or maybe so you can buy for the people you think will still be your loved ones by the holidays, but you never know. I mean, what if they found out you shopped at QVC? We watched some samples of the Christmas programming provided this year. I know that kids in most cartoon shows never age, but that convention seems especially creepy when you’re talking about infants never growing old enough to try to speak, even though they have experienced (at least once) both Christmas and summer. This is technically a Christmas-in-August, but it counts for our purposes. Christmas in July tropes include an off-season photo opportunity and characters who believe it’s Christmas when it isn’t. Incidentally, the first half of the episode isn’t Christmas, just an example of unfunny children’s television in which Angelica gets in trouble for pretending to be an adult on the phone. 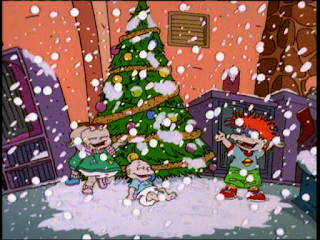 In “Let It Snow,” the babies see Tommy’s Grandpa decorating a Christmas tree. Grandpa explains to the adults about taking a holiday photo in time to have cards done, and some obvious foreshadowing is laid around a bag of old toys intended for donation. We all remember Muppet Babies. Even those of you who have never seen Muppet Babies seem to know it exists and remember it in some strange way. That's the magic of Muppet Babies. That's its power. 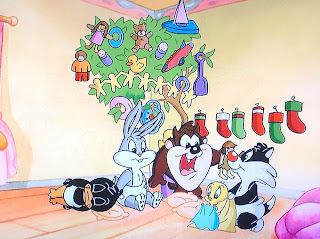 But no one remembers Baby Looney Tunes. And, having just seen an episode, I can unequivocally assert that it's better that way. Because this show is awful. Not just awful; it's humorless, tedious, boring, and pointless. It drags on, offering no justification for existing nor even seeming to try. You feel as though every step of its creation was undertaken in a dimly lit room, that the people working on it had a scotch in one hand and a pencil in the other, and the words, "What have I done with my life?" must have been scribbled around the margins of every script, every character design. It could have better, is what I'm saying. Wow, we are running into some weird running themes within Christmas in July. This is the second children’s show to feature kid(s) in foster care (also see It’s Punky Brewster) and the second to feature animated internal narration from the main character (also see Lizzie McGuire). 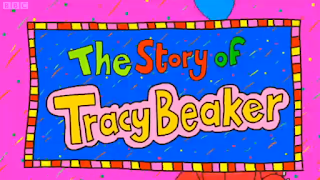 The Story of Tracy Beaker is a BBC series - based on the book of the same name - that follows a bunch of kids in a group home. And for once, the premise of the series actually has something to do with the Christmas plot. In this episode, two of the boys in the house (“Lol” and “Bouncer,” because the British love their nicknames) receive word that their aunt, who they normally see only over Christmas, is willing to take them permanently. Lol thinks this is great news, Bouncer isn’t so sure. 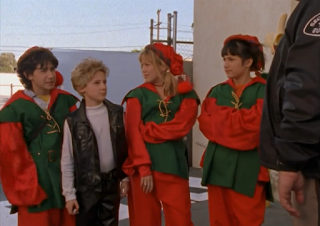 This is the second episode of Lizzie McGuire we've subjected ourselves to, though it predates XTreme XMas by a year. The one I'm reviewing today was only the show's seventh episode, airing in March of 2001. The premise of the episode, as the title implies, revolves around the teen singer coming to Lizzie's town to record a music video. 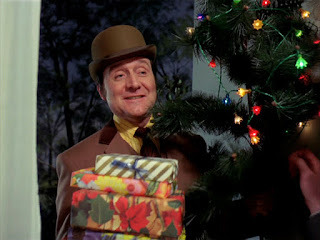 Although the episode is set in the spring, the music video was for the holidays, hence the Christmas in July connection. Well, okay, technically Christmas in March, but we're using a loose interpretation here. Lizzie and her two friends want desperately to meet Carter, each for different reasons. Because the shoot is secret, they need to include her younger brother, who knows its location for some reason. They sneak out early, leaving her parents a note - ironic, as her dad was going to surprise her with passes a client gave him. I’ve had this on my radar for a while, but this is actually a Christmas Murder Mystery in July! The series is filmed and set in Australia, and while Australia celebrates Christmas in December like the northern hemisphere, many people also celebrate in July, when it’s actually cold out. This story is not directly based on the book series but was written for television. Private detective Phryne Fisher is traveling to a fancy Christmas in July party with her Aunt Prudence. Also attending are Phryne’s maid/assistant/friend Dot and her lesbian doctor friend Mac. I remember the Super Mario Bros. Super Show, but I either forgot or never heard of its sequel, Super Mario World. Actually, The Adventures of Super Mario Bros. 3 was the first sequel, and I either forgot about or never knew about that one, either. 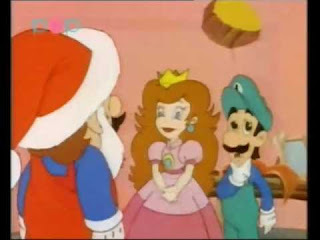 But Super Mario World, the series intended to tie-in to the Super Nintendo, is the one with the Christmas-in-July (technically August, but let's not split hairs) episode, and by extension the one we need to talk about. This is a half-episode, and it aired alongside Captain N, which sucked for entirely different reasons than Super Mario World. Sadly, Captain N never gave the world a Christmas episode, so we'll have to set it aside and get back to the crappy series at hand. If you've never seen any of these series and are wondering how anyone would convert Super Mario Bros. into a television series, don't bother asking the writers of this episode, because clearly they never figured it out. 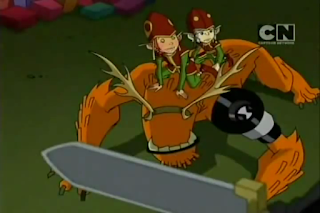 This is the first episode of Ben 10 Lindsay and I have seen, though I was mostly familiar with the premise going in. A kid has the power to transform into ten different aliens, so he uses his abilities to fight various threats. I hadn't realized the series took place during a cross-country vacation in his grandfather's RV. I'm fairly certain that's intended as a nod to the 70's Shazam series. Ben Tennyson is more than a little reminiscent of Billy Batson, who could likewise call upon otherworldly powers and transform. This series is more or less an update. This is the kind of show that reminds me why I have never wanted cable. We watch a lot of repellent things in the name of Christmas, but this was a special level of awful. 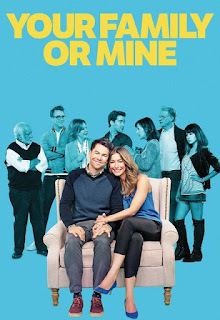 It’s a sitcom, distinguishable from other sitcoms only by its exceptionable levels of imbecility. Kate and Oliver are married. Apparently the ‘humor’ of this show comes from them dealing in succession with one or the other of their families. Like every other ‘family’ sitcom. This episode follows them and their extras, I mean daughters, on a visit to Oliver’s parents. Oliver’s mom insists on getting the family together in the summer to take the annual Christmas card photo, because “people are fat in the winter.” There’s some clever comedy coming here, folks.